Cats and dogs have been battling each other for centuries. Traditionally, the cat seems to always out run the dog and gets away but the rivalry continues. 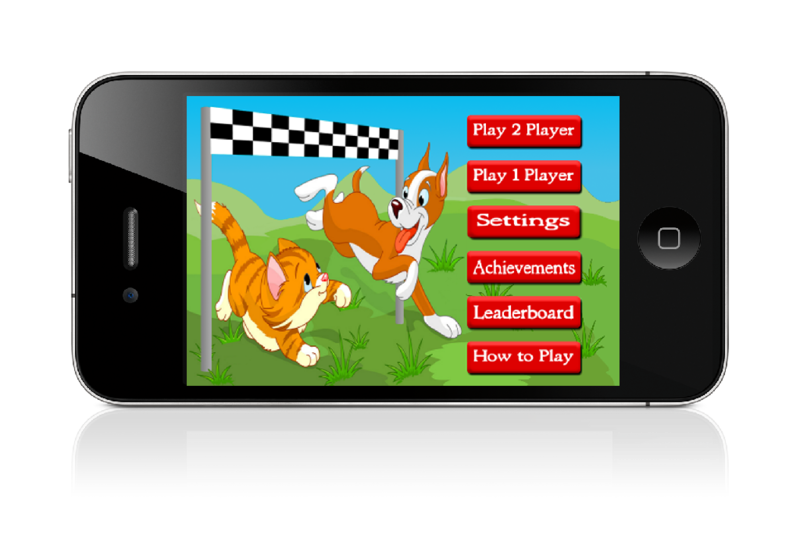 This game will allow you to race your opponent in a popular style of gaming control by running and soaring in an attempt to win the race. You can connect with Game Center to challenge your friend or choose auto match to play another online player.